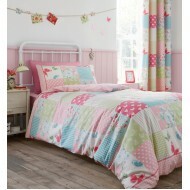 CL Kids bedlinen that's fun, comfortable and practical. Inspirational designs to stretch imaginations, all made in comfortable smooth easycare fabrics. 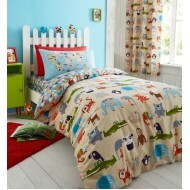 Great designs for boys and girls of all ages, whether the choice is a pretty pony pattern, dinosaurs or football. Themed curtains, cushions and rugs can complete the fun look that will be the envy of friends - who says going to bed has to be boring! Pretty in Pastels. 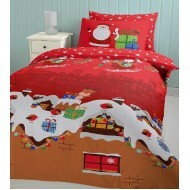 This fun and playful bed linen adds the easy care qualities of polyester with the.. Larger than life, playful prehistoric creatures come to life with fun accessories. The name Cathe..
200 thread count Cotton rich Percale bedlinen combines the pure natural softness of Cotton with the ..
Cotton rich and easycare bedroom collection. 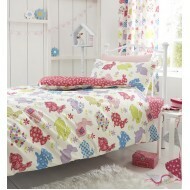 Cute and cosy, a knitted owl print with fun accessories..